Having a mustache comb is an essential tool if you are serious about maintaining a neat and debonair looking mustache. But there are so many types of combs available, so how do we know which is the best mustache comb for us? In my case, I have learnt it through trial and error, finally ending up with just what I needed. You can find mustache combs in different sizes but mostly they are small since you will need to carry it with you. It should have fine teeth so the spacing is very narrow which would pick your hair with ease. You may be aware that these combs are not like the normal combs which you would use for your hair. Mustache combs are specifically manufactured with polished edges so they would not scratch your skin. They should also be anti-static. What you have to remember is that basically you are educating and training your hair to go in the direction you want. So, the comb should be quite sturdy and not bend as you run it through your mustache. These combs come with or without handle, and it´s a matter of choice which one you pick. Personally I prefer the ones with the handle as they give me a nice grip. You can also find folding mustache combs which look similar to a switchblade knife. Another point to remember before choosing a mustache comb is to check the size. When you see images on an online store, they tend to look a lot bigger than what they really are. Here, you will find reviews of some of the best mustache combs which users are very satisfied with. Kent combs are on top of my list for their sturdiness, quality and excellent finishing. They are handmade which becomes apparent when you hold and use one these combs. Kent the Handmade Comb 81T is 73mm ( approx. 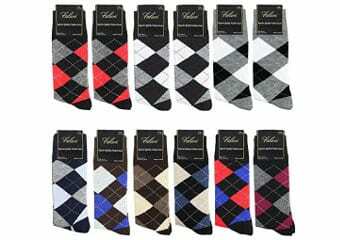 3 inches ) in size making it very handy to carry in your pocket and it will also fit nicely in your wallet. It works fine for the mustaches as well as beards. However, if you have a long beard, you might find it to be too small. It´s really more suitable as a mustache comb. It has rounded polished teeth and placed quite close together so it won´t miss any hair. I particularly like the design of the handle which makes it very convenient to get a good grip. 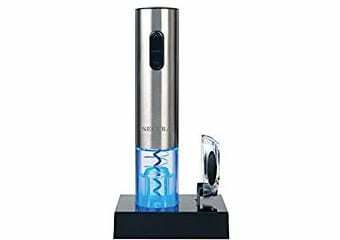 The quality speaks for itself when you use it and for all that it is available at a very reasonable price. The reviews from the users are mostly positive with only a handful of users giving it low star ratings. All in all, if you are looking for a good quality and durable mustache comb, this is certainly one which is highly recommended. For those who prefer a folding comb, Swissco Tortoise Folding Comb is a good choice. In case you are wondering why “Tortoise”, that´s because it is made of an imitation tortoise shell. The comb goes through a 12-step manufacturing process to ensure quality. This is another handmade and finely polished product, making it very smooth to glide through your mustache and beard. Its size is 3.5 inches in a folded position which makes it a dual purpose comb to be used for mustache as well as beard. The handle folds over the comb which helps to protect the teeth from breaking in your pocket. 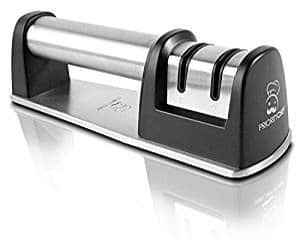 The handle feels quite strong and sturdy although couple of users have had complaints about the hinge of the handle. They were not not so happy with the quality and that it catches the hair while combing. Still, a great majority of users have been very happy after using it and given high stars ratings. It is available at a mid price range. There are certainly cheaper options of mustache combs out there but then you may have to compromise with the quality. 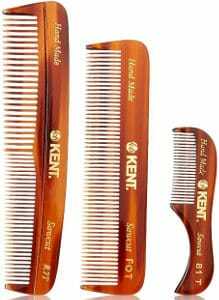 Kent is well known for their quality, Kent 20T folding comb is another great product by the company. It is only 3 inches in size making it easy to fit in your pocket. It is handmade and unbreakable with polished edges. The folding process will feel a bit tight in the beginning but that´s quite normal and after a little use, you will find it quite smooth. It also comes with an extra feature of a pocket clip. This makes it quite handy to clip it to your pocket, preventing it from falling at the bottom of your pocket. However, there are a few complaints about the quality of the clip. Some people found that it broke easily. Personally, I find the price to be slightly on the higher side for a pocket comb but there are customers who have repeatedly bought the same comb, a fact which tells a lot about the quality. 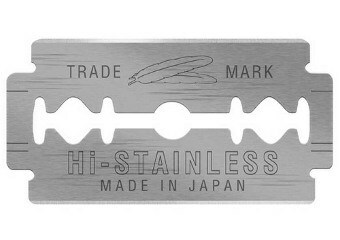 A Switchblade Comb probably won´t be my first choice since it seems like a quite flashy item especially for youngsters. 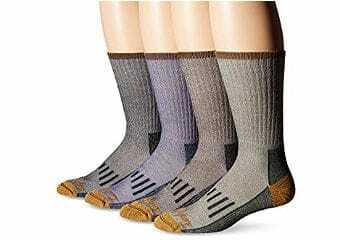 It measures 5 inches closed and 9 inches in an open position. Although it appears to be of a fairly large size, the working area is quite small. Most of the length is taken by the handle and the frame of the teeth. This does not leave you much space for the actual teeth. 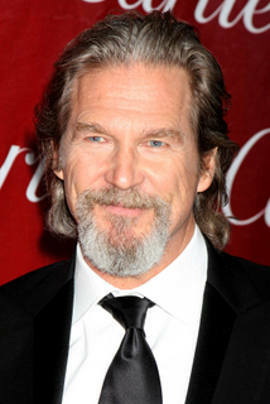 Still it´s good enough for a mustache or a smaller beard. There is also a push button to open the comb, much like a switchblade. 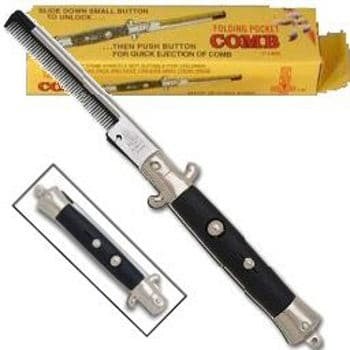 The comb is available at a very economical price but do not be confused that it´s cheap so it must be of a low quality. The frame is made of metal so it feels quite strong and not a bad buy for that price provided you like the switchblade action. It gets very mixed reviews with about 50% of the users giving really high ratings and others giving more mediocre reviews. I would suggest to use it carefully and sparingly and it should last you for a long time. Considering its price which is quite affordable and it´s really something of a fun item. The last but not the least choice is another fine quality Kent handmade 113mm pocket comb. It is 113mm ( 4.5 inches ) in size which will still fit in your pocket and at the same time the size is perfect for an all purpose comb for mustache, beard and head. 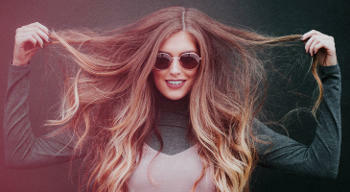 If you have longer hair, you may find that the teeth are not long enough but with mid length hair it works very well. The hand polished finish gives you the comfort of gliding through your hair with ease. Kent, known for their quality, have ensured through their polishing process that this item would not cause any scratching. 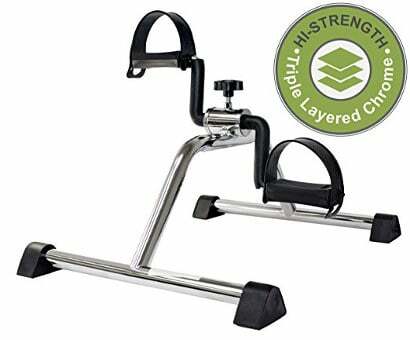 It feels very sturdy and you will feel the high quality when you hold it. It gets incredibly high reviews with almost all users feeling very happy about all aspects of this comb. Also, I feel that the price is quite reasonable for such a high quality multi purpose comb. If you are looking for a fine set of combs for mustache, beard and hair then this set of 3 Kent’s Mens combs may fit the bill. Features of this comb set includes the 81T a small comb perfect for grooming that mustache, the FOT which is good for shorter hair or beard combing and R7T which is the perfect hair comb. All three combs are handmade and polished so that the tips of the combs are softly rounded and the sides will glide through your hair without catching or pulling. Your hair will look neat and tidy and since these combs are made of cellulose acetate you don’t have to worry about static causing your mustache, beard or the hairs on your head to stand on end. Users really like this set of combs and don’t mind spending a few dollars more since these combs are so well made and durable. Most users find that these combs are gentle on their skin and hair and experience no pulling or tugging when using these combs. Because these combs straighten the hair without tugging, people experience fewer split ends and broken hairs which leaves their beards, mustaches and hair fuller and healthier looking. Best of all these combs fit fairly neatly in the pocket which means you can keep them with you for those quick moments of grooming after you have been out in the wind. A hundred or so years ago wooden combs were common, but with the invention of plastic and other materials comb manufacturers turned to newer materials. However, there is a lot to be said for a well made wooden comb as the EQLEF Sandalwood no static comb proves. Made from a 100% green sandalwood this comb has standard size teeth on one side of the come and fine teeth on the other making it perfect for both beard and hair. The ends of teeth of this comb is gently rounded making it gentle on your scalp and skin and because it made of real wood it doesn’t cause static so your hair and beard will look neat. Because the comb is made of wood you do need to exercise a bit more care with this comb than those combs made from synthetic materials. You need to keep the comb in a ventilated place and avoid placing it in high temperatures or too much sun. The comb itself has an excellent finish, fits perfectly in the pocket of your shirt or even a wallet. Users like the comb because it texture of the wood is smooth and the rounded teeth keep the comb from pulling on your beard and mustaches reducing split ends. Users also really like the scent of this comb and state that it smells wonderful. The one complaint users have is that this comb tends to break fairly easily if dropped or sat on when it is your pocket. While every man with a mustache wants a mustache comb that will keep their ‘stache looking neat and tidy some men want something a little more than just a small comb with a handle which is why the Swissco Tortoise Moustache boot comb is so popular. This comb is both functional and a great conversation piece as the handle of the comb is in the shape of woman’s gam with a boot, making it perhaps the sexiest comb for mustaches that has ever been made. But it isn’t just the novelty of this comb that makes it so popular, but rather it’s functionality. Made of strong imitation tortoise shell, each of these combs are individually cut and polished to perfection with rounded teeth to help tugging or pulling on those mustache hairs. This comb not only glides smoothly through your mustache but also is a little longer than most other mustache combs. Users really like this comb and find that it does keep their mustaches looking neat and tidy and will also work well on shorter beards although those with longer beard state the teeth are too short to really work with a longer and fuller beard. While the handle does make this comb a great conversation starter some users don’t feel it is the best designed handle to hold while combing the mustache, but since it doesn’t take long to tidy that ‘stache most users really don’t seem to mind the shape of the handle and in fact like the unique design of this comb. I hope you manage to find something you like from the above selection. These are only some of the best mustache and beard combs available, there are so many more in the market and spending a little bit of time browsing a few others will surely help you to find just the right one.